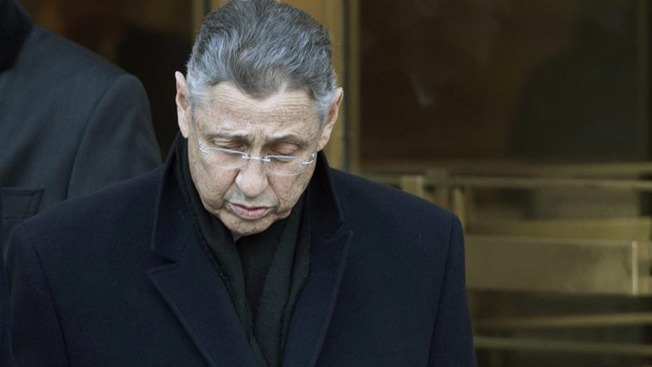 Unreleased court documents from the corruption case of former Assembly Speaker Sheldon Silver could be made public in two weeks after lawyers for NBC New York and the New York Times argued it was it was past time for a federal judge to allow the public to have access to the records. After sealing the materials for the duration of the trial, U.S. District Judge Valerie Caproni agreed that some of the records, the contents of which are unknown, should be released. Speaking in court Thursday, she said that she planned to unseal those materials with redactions and would issue an opinion explaining her analysis. Attorneys for Silver, who was convicted of federal corruption charges last year, have asked to keep the documents secret and will have a chance to file an appeal to keep the documents secret before the judge issues her opinion and analysis. If there are no appeals, or any appeal failed, she said she hoped to have the documents released as early as two weeks from Thursday. During the hearing, NBC 4 attorney Daniel Kummer argued along with attorneys for the Times that the First Amendment right of access to the courts allows for the release of the documents. “The only people excluded from this conversation right now are all the people for whom these people govern,” Kummer said. Kummer added that it was the first time in his career he has argued for the release of documents he knew nothing about. "This is the first access matter that I can recall in my career in which we came in with absolutely no idea what it is we are seeking access to," Kummer said. Attorneys for Silver urged the judge to keep the records secret, arguing that any release of materials that were not entered into evidence at trial would further damage Silver’s reputation and harm his chances should he succeed on appeal to win a new trial. Prosecutors in the case against Silver, meanwhile, agreed some materials can now be released but said portions need to be redacted. No one has described the what is in the sealed documents. Caproni suggested the documents could include unindicted or unnamed third parties. “We are confident that at least one of them was never mentioned at trial," she said. The judge sealed the courtroom for a time Thursday to give attorneys for those third parties to argue why they want the documents kept secret. Well-known defense lawyer Abbe Lowell was one high-profile defense attorney seen in the courtroom. Lowell did not respond to a request for comment as to whether or who was representing. It is unclear if any of the unnamed third parties are other Albany politicians, powerful business leaders or relatives or associates of Silver.